John Paul Jones is considered the Father of the American Navy. During the American Revolution, he fought in the Battle of Flamborough Head, and gave the famous quote when the enemy captain thought that he was near surrender “I have yet begun to fight”. It was that type of attitude that led to the creation of our country, and one that all smart self-storage investors should adopt today. Whether you’re looking to buy a self-storage facility or increase the occupancy at one your already own, an attitude of supreme persistence is your best shot at getting the job done. It worked for Jones – who won the battle – and it can work for you. In honor of the 4th of July, we have dedicated this issue to the number “4”, and it will be prominently featured in each article. And from all of us who produce these monthly newsletters, we hope you have a very happy Fourth of July holiday! Locks are one of the few moving parts on a self-storage unit. Facility owners are heavy users of locks, and there are important tips to make you a better shepherd of the locks you own, as well as using locks to enhance your facility management. So what are the 4 top tips on self-storage locks? Everyone needs locks, and they are prone to disappear from your facility one way or another. You can reduce that propensity to vanish if you mark them in a manner that tells the whole world that they belong to the storage facility. Options include painting them an obnoxious color, or “branding” them with some type of prominent marking. If you paint your locks bright pink, for example, nobody is going to accidentally take one. Smart owners use their locks as a management tool. You should mark them with a sticker that shows the status of the contents of each unit. A blue sticker, for example, could mean “unit vacant” and a red sticker could mean “unit overlocked for non-payment”. You’ve got the idea. It’s a great idea to be able to know the status of every unit without having to open the door – highly efficient. An industry supplier called Chateau offers locks at $5.99 that you can sell for $15 (you can find them here https://www.chateauproducts.com/ ). You can find other great wholesale deals on locks from other suppliers. But the key is to choose a source that sells them at a wholesale cost and never buy them at retail prices again. You need to only buy locks that are tough to cut into and offer true security to your facility and customer. We prefer disc and cylinder locks, because they are much harder to cut open. And we also prefer locks that require keys and not combos. You might say “but isn’t a combo easier because you don’t have to remember the keys?” and the answer would be “yes – but that’s also true if the combo fell into the wrong hands”. These four tips can help you “unlock” your full potential with locks. Locks are a big part of self-storage. In every potential acquisition, there are two paths. One is the path of being a deal “maker” and the other is the path of being a deal “killer”. Some of the best properties every purchased started off as victims of a procession of deal “killers” who could not see the opportunity for the “easy out” trees. So how can you resurrect a deal that you would otherwise “kill”? There are many management errors that can result in net income numbers far lower than what you can muster immediately upon purchase. Among the most common are overpaying the manager. If the current owner shows a $60,000 manager, but you can reduce that cost to $30,000, then you just beat those historical numbers by $30,000 per year. Don’t look at the historical numbers as a statement of operational fact – just the results by one owner that might be improved on with a different business style and model. To be a deal “maker” you need to run your own numbers based on your own determination of potential economic performance. Just because the current owner has a vacancy rate of 30% does not mean that you will suffer the same burden. And just because the current rent on a 10’ x 10’ is $50 does not mean that you can’t be at $100. However, this should never be just idle speculation. To be a deal “maker” in this instance, you have to be an expert on the market. You have to know every comp of every facility within a 5-mile radius. You need to be a walking encyclopedia of all things self-storage in that market if you want to be a deal “maker” on potential occupancy and rent enhancement. There’s an old saying that “all ills can be solved with zero down and non-recourse financing”. While that may be true in many cases, it does not have to be that extreme to change a deal from a “killer” to a “maker”. Seller financing is always attractive, and so is a smaller-than-normal down payment. But these are typically only found when the current owner owns the property free and clear. However, even bank loans can sometimes be unusually attractive in term, down and amortization. If you can get a 15 year term loan at a fixed rate, that might make the marginal deal suddenly highly attractive. So a deal “maker” maneuver is to seek out superior terms and financing. Many times a buyer becomes a deal “killer” simply by lack of persistence or asking for a lower price that the seller would gladly give you. We have renegotiated many deals into winners by simply telling the seller why the deal is not attractive at the current price and telling them what price works. Smart sellers will adjust the price if they feel the request is legitimate, figuring that the next buyer will have the same concerns. 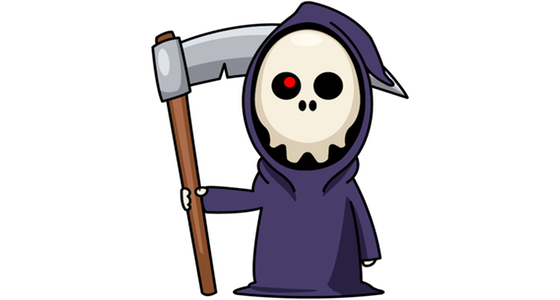 Don’t be a deal “killer” – anybody can do that. Strive to be a deal “maker” by pushing the limits on the deal and seeing if there is a way to create value. That does not mean to buy weak deals or do poor diligence; instead to do superior diligence and see what possibilities arise. Many deals you see out there have lower cap rates than you would like. Can these still be bought successfully? Yes, if you explore some additional facts about the deal and narrow your potential for hidden surprises or risk. Here are 4 ways to successfully buy self-storage properties at lower cap rates. If you are going to buy a facility at a lower cap rate, it is essential that there are no hidden surprises, as you have no margin for error. You have to perform superior due diligence and turn over every stone to know that your pro-forma exactly mirrors the reality of the property’s operation. Sloppy analysis can turn a deal with slim numbers into a total disaster. Some storage facilities have a massive amount of low-hanging fruit, in terms of easy occupancy and rent increases. If you can buy a self-storage facility in a great location for a 6% cap rate and raise revenues nearly immediately to what equates to an 8% cap rate, then you are really buying a property at a time-delayed 8% cap rate. But be careful when you buy with this strategy, because if you bet wrong you are stuck at the low cap rate for the foreseeable future. 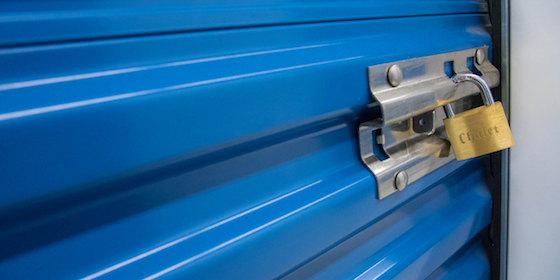 When you buy a self-storage facility, you are also investing in the market itself. Those who bought properties in California during the market low have done fantastically, just as those who bought facilities in Detroit at its peak have suffered horribly. How can you predict the future of a market? By becoming an absolute expert at it: talking to the Chamber of Commerce, learning about the top employers and their plans to grow or shrink, and studying regional patterns. The real money in real estate is made in the “spread” between cap rate and loan interest rate. Most storage investors are looking for at least a two-point spread, which yields cash-on-cash returns above 10%. Right now, interest rates are at near-historic lows – lower than they have been through most of American history. If you can lock on those low yields with fixed-rate long-term debt, you may be able to harness the power of the low interest rate environment to make a lower cap rate deal still successful. And as rental rates increase over time, by the time that 10-year loan expires, the cap rate will now be higher and you will have won. It is possible to buy a self-storage property at a lower cap rate and still be successful. However, you have to have a strategy to do it, and these are the top four. If you ask old-timers what the four most important words are in succeeding at self-storage management, they’re likely to say “it’s the manager stupid”. What that means is that the proper selection, training and supervision of your manager is essential in hitting your budgets and making money with your property. In a world of new technology, with such new management tools as kiosks, the old-fashioned manager is still the most important component to success. If you want win at self-storage investing, spend as much time focusing on the manager as you do the acquisition itself. The self-storage business model is not rocket science, but there are four areas that need greater focus than others. What are the four biggest drivers to success in self-storage? Self-storage is all about people: both your employees and your customers. 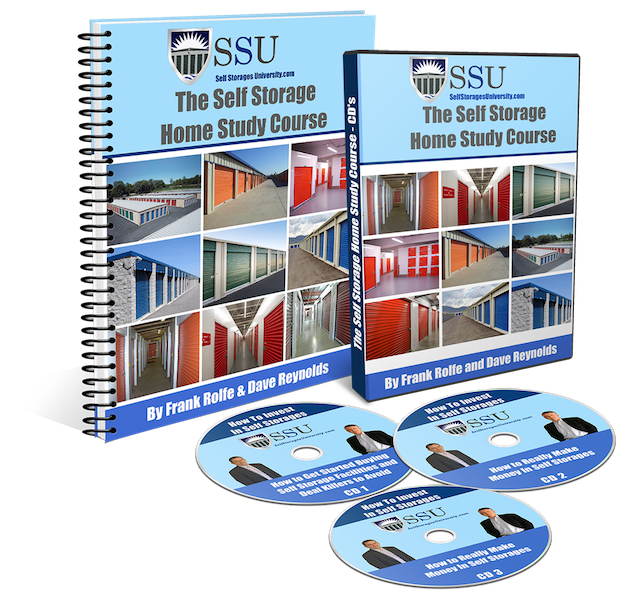 So you need to be a student of people to succeed at self-storage. You need to learn what motivates your customers to come in, what pricing makes them sign leases, and what makes them stay. And you need to figure out how to motivate your manager to close deals and offer superior customer service. People store their belongings with the understanding that the storage facility will keep them safe. This means that it is the owner’s responsibility to limit access to the units to only legitimate customers. It also means that customers must have easy access to retrieve or store their belongings, and that means that security gates are functioning. To maintain your property in a format that allows for financing, future buyers and legal challenges, you must keep all your leases safely stored, properly filled out and executed, and in the correct format. From the day you purchase the facility – to the day you sell it – you must be a good librarian of all leases and make sure that you are 100% sure that they are correct in format and execution. If you lose your leases – or you haven’t done them correctly – then you can render your facility illiquid until you can correct your errors. Self-storage has a unique collections methodology on those who don’t pay: you simply sell their contents at auction. However, that means that you will no longer be collecting rent from that customer and the unit is now vacant. This means that the only way you can succeed is to collect unpaid accounts without losing the customer – and that requires tact. History has proven that the best way to keep the customer is to immediately make contact when the rent does not arrive and cordially see if there’s a way to work with them to get the amount paid in a friendly way. Follow these four strategies, and you will be a very successful storage owner. If you need help on how to accomplish these missions, then get the tools and resources you need and study up. It’s impossible to buy a self-storage property without negotiating a price. This is a skill that most Americans are not very good at, since there is no such major in college or class in high-school. So what are the top four tips on negotiating a price on a self-storage facility? When you determine what you think the value of a self-storage facility is, then don’t be afraid to convey that on to the owner or broker. Don’t let the offering price – the price set by the seller – be your guide. Most sellers pack on from 10% to 20% of fluff in the price, and some properties are overpriced by 50% or more. So offer only that which is reasonable, not just what the seller wants to hear. If you strike a price that’s too high, the deal will never happen, as the appraisal and lender will never support it. On top of that, why would you want to overpay? We have found over the years that honesty is the best policy when working with the seller and broker. Don’t pretend that you have a ton of capital if you don’t, and don’t pretend to be interested at a certain price when you’re not. Tell the seller and/or broker that you are trying to make a good investment in self-storage, and that you want a win/win deal to happen. Be honest in your concerns and seller will typically be more inclined to make price adjustments, or extensions for financing. In short, treat your seller like a VIP. Never be late to a meeting, or forget a scheduled event. You will find that sellers are much more willing to work with you when you have set a good impression. Remember that sellers are always sizing you up to see if you are a good fit, and if there’s seller financing involved, if you can even be trusted. Before you enter into any negotiation, you need to determine the price in which you won’t buy it. This is called the “walk away price” and it’s essential. When you know what you won’t pay, you’ll communicate that to the seller through your actions and body language, and they’ll know that they’ve reached their pricing limit. When the price exceeds what you’ll pay, you simply thank them for their time and tell them you’ll call them periodically to see if they’ve changed their mind. You’ll be surprised how many times they’ll stop you before you walk out the door or call you the next day and take your offer. They were just testing you. Negotiation is a vital skill in buying a self-storage property at a good price. These four tips will get you on your way.